New Market Tax Credits help reinvent rural economies through access to capital. EDITOR’S NOTE: The federal New Market Tax Credit program is currently up for annual renewal by Congress. Separate legislation seeks to make the tax credit permanent. This article in favor of the program is by the CEO of an organization that helps groups use the New Market Tax Credit to invest in local businesses. Given the economic challenges facing rural communities, one might expect that world-class innovation could only be found on the wealthier urban settings like Silicon Valley, Boston, and New York’s tristate area. The current trend of infusing capital and creating jobs in metro hubs like these has led to the shallowing of economies in the remaining “fly-over states” – places bypassed when those with financial fly elsewhere to invest in urban opportunities. The consequences are visible throughout rural America. When shallow economies lose their core economic base, they face a variety of challenges that erode the community, the costliest being out-migration: when younger workers move away to seek better prospects, leaving an aging population and dwindling resources behind. Good news is on the horizon, though. Through the use of New Markets Tax Credits, forward-thinking enterprises are reinventing rural communities through public-private partnerships that attract new investment capital, support new enterprises and diversify economies. The advanced technologies, innovation, and ingenuity funded through the program represent nearly every industry sector of the economy, from healthcare and hotels to manufacturing and agriculture. Not only are New Markets Tax Credits helping build job-creating enterprises, they’re also causing a ripple effect throughout the broader rural communities they serve. Take for instance the classic rural industry: farming. Ehrmann Commonwealth Dairy sought start-up financing in 2011 to establish a Greek yogurt manufacturing plant in rural Vermont. At that time, lending options were scarce as the nation’s economy was struggling to find its footing. Undeterred, the dairy’s founders recognized that the economic benefits of Greek yogurt production would extend well beyond the plant walls. They set out with meaningful yet modest goals for their new enterprise: to create 40 jobs in five years. Yet in four years, Commonwealth Dairy has topped $100 million in revenue, directly employs 125 individuals in Vermont, and now oversees a second factory in Arizona where it employs another 125 people. Like so many New Markets Tax Credit financed projects, the benefits of the dairy’s success are rippling beyond its four walls to deliver benefits throughout the value chain. With Commonwealth’s success a cooperative of regional dairy farmers now has a regular customer, keeping its members employed, along with supporting veterinary, logistics, and farm support businesses. Furthermore, Commonwealth donates 5% sales to local nonprofits; it gave $360,000 to the Vermont Farm and Forest Viability Program last year alone. In the early 2000s, Mid-State Health Center in the small town of Plymouth, New Hampshire, was in dire need. The facility, not yet designated as a federally qualified health center, sought funding for a critical expansion of services to its rural communities. Its CEO, Sharon Beaty, got creative. Since the traditional options for healthcare funding were few, she recast the benefits of a new health center – not only would it provide health and wellness services in the area, it would also bring economic opportunity. By demonstrating the community development results, Mid-State was able to construct a new health center with New Markets Tax Credit support. The result of that investment turned out to be even greater than Beaty expected. Mid-State’s employment jumped from 37 to its current 102 people, and the center spurred further community development. Plymouth’s Speare Memorial Hospital built a satellite facility across the street, and many other businesses subsequently opened in the surrounding area, creating dozens of jobs for local residents. Perhaps most importantly of all for Mid-State, though, residents in the region now have much improved access to primary care. In fact, the center is recognized as a leader in the state for such access. 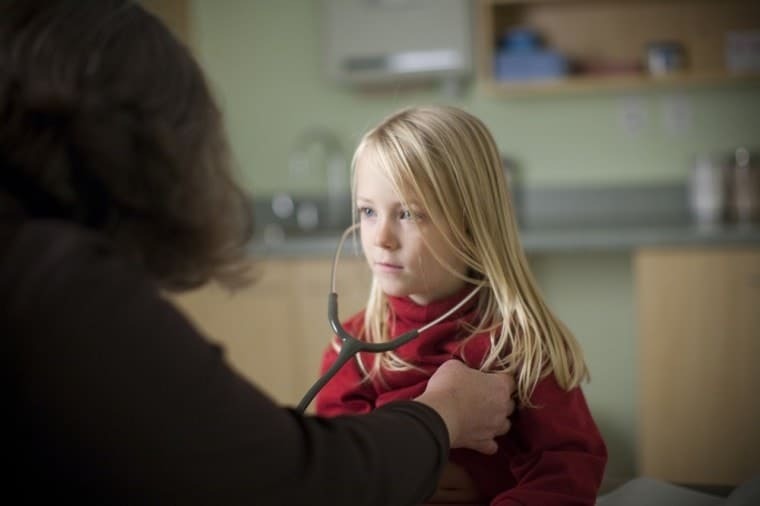 Furthermore, by having a facility large enough to accommodate the community’s growing primary care needs, along with pleasant atmospheres and extra perks like on-site child care, the rural facility is able to attract physicians, formerly one of its biggest challenges. 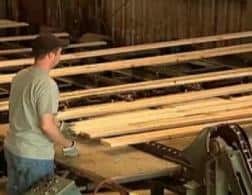 Another example of using New Markets Tax Credits to reinvent business in a traditional rural industry is at Associated Hardwoods Inc., a full-service wholesale lumber company headquartered in Cherokee County, South Carolina. With nationwide closures of sawmills straining the availability of raw materials, Associated Hardwoods took the initiative to open its own sawmill in its backyard, where natural resources are abundant. The company built a state-of-the-art mill that uses nearly 100 percent of the raw materials processed, and its energy-efficient technologies and low-waste production process allow the company to substantially reduce energy costs and maximize lumber recovery out of every log. Associated Hardwoods lumber company in Cherokee County, South Carolina. Because the facility employs 17 full-time workers in a census tract where one third of the population lives under the poverty rate and the unemployment rate is nearly double the national average, the project qualified for financing through the New Market Tax Credit program. Today, the average annual wage for employees at the new mill is 60 percent higher than the county living wage and includes overtime, medical insurance, paid vacation, holidays and training opportunities. The benefits of the project reach far beyond its headquarters, though. The sawmill supplies more than 20% of the raw materials for Associated Hardwoods’ operations in Granite Falls, which mitigates supply-chain risk. Furthermore, the new mill provides a prime location for local loggers to take their loads, which reduces transportation costs. Various local businesses provide maintenance supplies and services. Rural locales face unique obstacles to revitalization, including a lack of economic diversity and investors, the limited availability of credit, the seasonal nature of employment and geographic isolation. Yet there are hundreds more stories that highlight the New Markets Tax Credit program’s success. The New Markets Tax Credit program has won bipartisan Congressional support as well as the support of county and municipal leaders who recognize how it can attract investment for projects that might otherwise be overlooked. Given the program’s track record and its potential to create and preserve thousands more jobs and improve the quality of life for low-income Americans, Congress can make permanent a program that supports the American dream, especially for those living in our nation’s rural, fly-over states that are so rich in potential opportunity. Charlie Spies is chief executive officer of CEI Capital Management, LLC.CEI Capital Management provides business capital in rural, low-income communities through the federal New Markets Tax Credit Program and the Maine New Markets Capital Investment Program.